Although I study in Prague, where I spend most of the time, I am still quite interested what's going on in my home. And as the pictures on the facebook are shared, a lot of people already knows what's new in Liptovský Mikuláš. This summer, new Propaganda Freestyle Park is opened. Hi Paul! You are co-owner of Propaganda Freestyle Park. Can you introduce this company? Ahoj! My names Paul Wilson, I'm 30 years old and originally from Oxford, UK. I came to Slovakia 8 years ago looking for a new adventure in life and something different. I decided that Liptov region offered great possibilities for winter as an alternative to the Alps for british guys, so I set up the first incoming UK operator based on winter.... we now have a great brand name and turnover of UK clients coming for mainly winter, and now with our new projects we are starting to advertise Slovakia as a destination for british clients in summer as well. The wake park is just another part of this project. 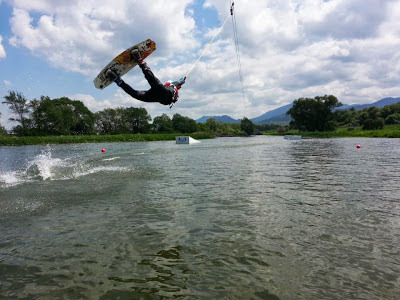 I am quite curious about the summer park for wakeboarding. Since when do you wanted to bulit such a park? Whose idea it was and why in Liptovský Mikuláš? 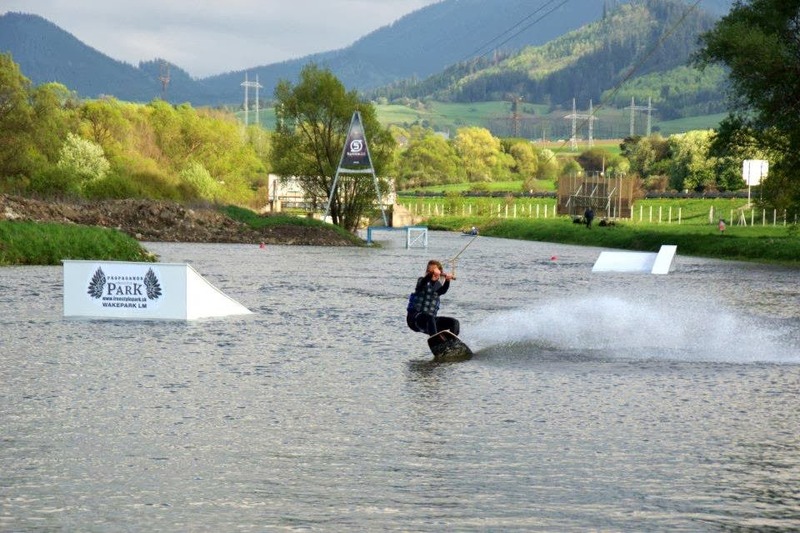 I've been a huge fan of wakeboarding for a few years – trying it just a couple of times before coming to Slovakia. When we saw the potential of the area and everything that is on offer in other activities, we realised that there is missing some activities for water sports for everyone. In UK wake parks are being built in every city and it is really boosting the interest in the sport and ability of riders. You don't need half a million euros to build a systém 2.0, so it means that it is able to be built more easily and more flexible places. Officialy, the park is going to be opened 18th of May 2013. What will be the open hours and till when will the park works? We are going to be open every day – from 9am until 8pm. The plan is also to have night riding sessions but this will depend on the weather. We will keep the park open until it gets too cold to ride! Could you tell me little bit more about the park? What kind of lift and obstacles it has? We have the first Sesitec systém 2.0 in Slovakia. It is designed for solo riders and can go any speed up to 40km/h – This means that its great for kids and beginners wanting to learn and try – and combined with the ramp set ups, it makes the perfect training for advanced riders – when you fall off a ramp or rail, the systém will pick you up and continue – no walking around the lake and joining the line of people again – It is your own private freestyle park for the time that you are riding. We have 3 obstacles for this season. 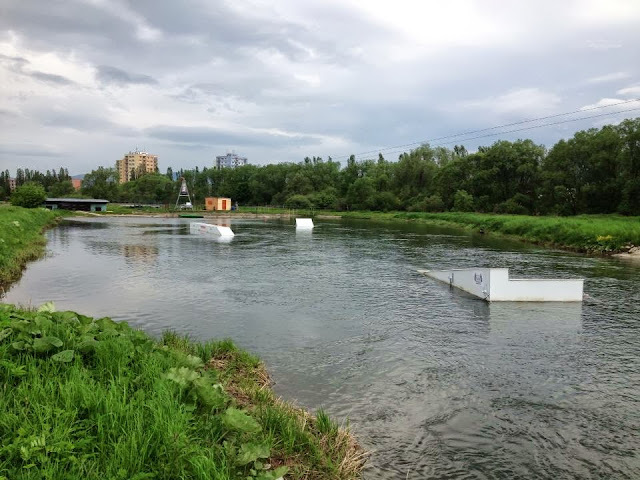 The first is a 16m Box, the second, an up rail and ramp around 8m, and finally one kicker. Who can joint the riding? To who is the park dedicated to? The park is for everyone – young and old, new to the sport and experienced. Really anyone can try the park. The ramps and rails are excellent training for winter as well. Visitors need special equipment. What exactly they need? Do they need to bring it by themselves or do you have a possibility to rent them some board, neopren and so on? 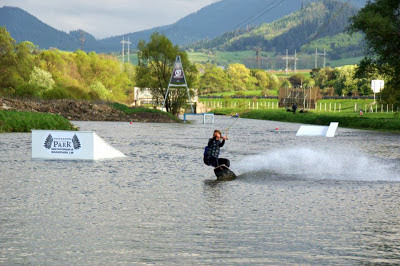 Included in the price of all the sessions is rental of neoprene, vest, helmet and wakeboard. We have made it easy for people as it can be come expensive to buy your own kit. All you really need is a towel and energy! Are there any other activitis around the park? On liptovska mara we have boat based wake school which is another way to learn and gives a different experience. There is rafting and kayaking right next to the cable as well as a skate park in the town. Liptov region has everything for active and outdoor minded people so is great for a weekend or week long holiday! Do you plan to organise any competitions or events? Do you have a calendar of events? If anybody would be interested to visit you, how he can contact you/the park? Where he can find more information? http://www.freestylepark.sk is our website, +421 917 707 282 is the office and you can email us on info@freestylepark.sk anytime – or just come down to see us! Thanks a lot for your answers and time :).